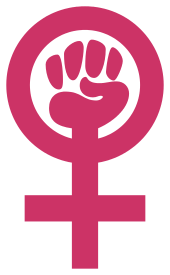 This article is a list of notable women's rights activists, arranged alphabetically by modern country names and by the names of the persons listed. Zelda D'Aprano (born 1928) – trade unionist, feminist, in 1969 chained herself to doors of Commonwealth Building over equal pay. Bella Guerin (1858–1923) – first woman to graduate from an Australian university, Guerin was a socialist feminist prominent (although with periods of public dispute) within the Australian Labor Party. Auguste Fickert (1855 - 1910), feminist and social reformer. Soraya Bahgat (born 1983) – see Egypt. Kirthi Jayakumar (born 1987) - founder of The Red Elephant Foundation, rights activist, campaigner against violence against women. Margaret "Gretta" Cousins (1878–1954): see India. Ayaan Hirsi Ali (born 1969) – see Somalia. Agda Montelius (1850–1920) – philanthropist feminist, chairman of the Fredrika-Bremer-förbundet. Malala Yousafzai (born 1997) – see Pakistan. Kate Kelly (1980)- feminist and human rights lawyer, founder of Ordain Women, works for Planned Parenthood. Frédérique Petrides (1903–1983) – see Belgium. Eleanor Smeal (born 1939) – organizer, initiator, president of NOW, founder and president of the Feminist Majority Foundation. Sojourner Truth (c. 1797–1883) – abolitionist, women's rights activist, speaker, women's rights speech: "Ain't I a Woman?" ↑ Prah, Mansah (2002). "Jiagge, Annie (1918–1996)". In Commire, Anne. 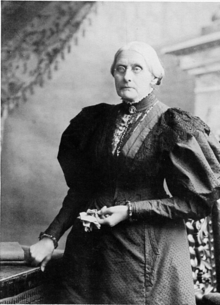 Women in World History: A Biographical Encyclopedia. Waterford, Connecticut: Yorkin Publications. ISBN 0-7876-4074-3. (subscription required (help)).